Nicole’s was a joy to work with! She had a very unique vision for her wedding day and I was so glad she asked me to help her make that vision come true! 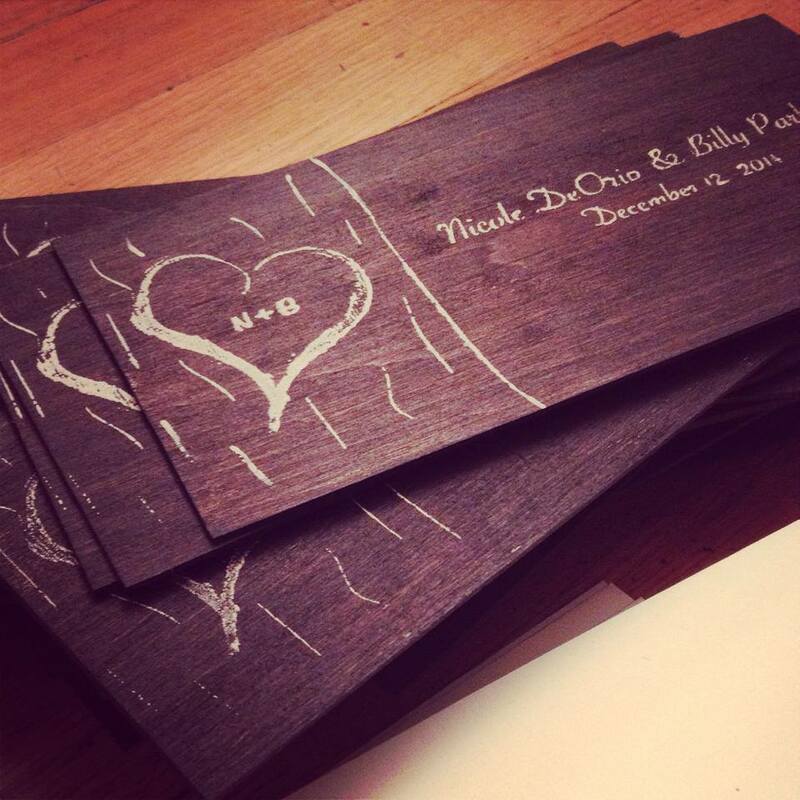 First I created Nicole’s wedding invitations out of wood along with the RSVP and simple instructions fro guests. Nicole wanted something that people could keep that was fun and different but that fit into her vision for the big day. 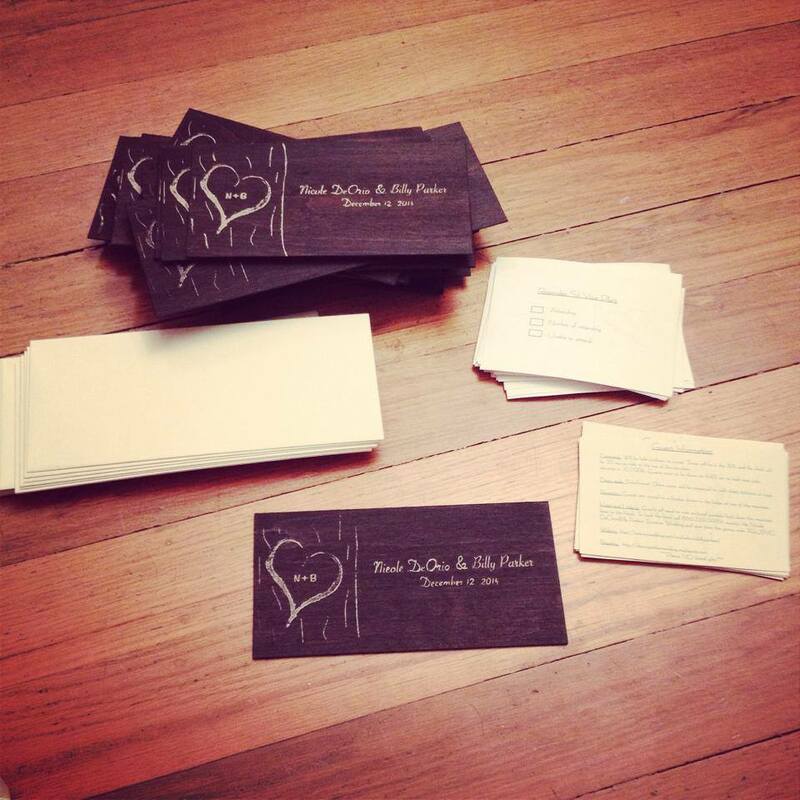 The invitations were a BIG hit with all of her guests! Nicole had a very small mountain top ceremony during sun set in December. She wanted to include snow like items that had a little bit of sparkle but not to much. 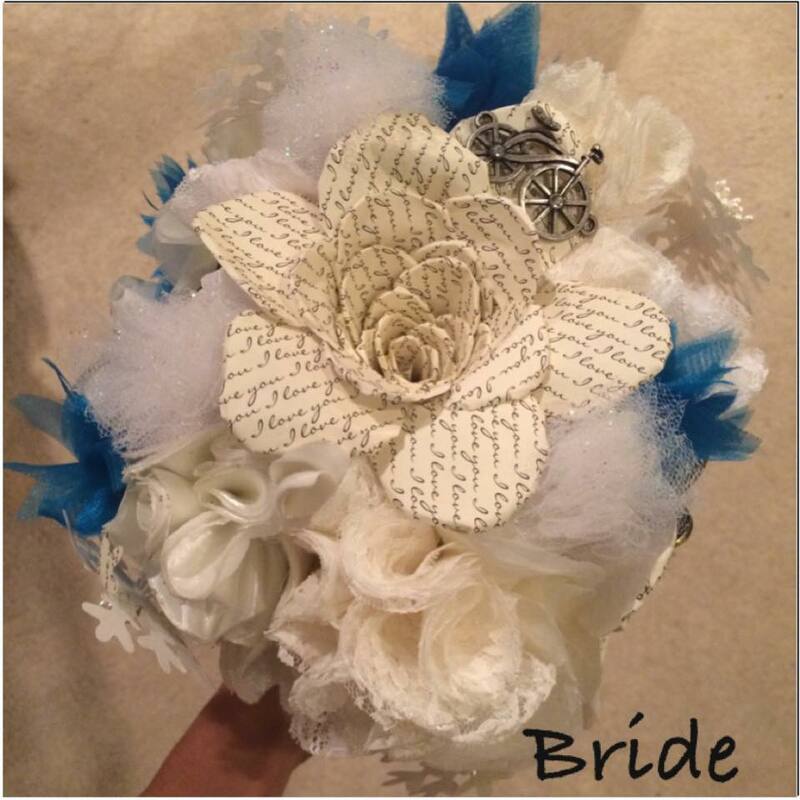 First I created her wedding bouquet out of fabric and paper flowers adding small gems of her choosing to make the bouquets truly one of a kind. Once Nicole was satisfied with the bouquet we based all the other wedding items she wanted off of the bouquet. 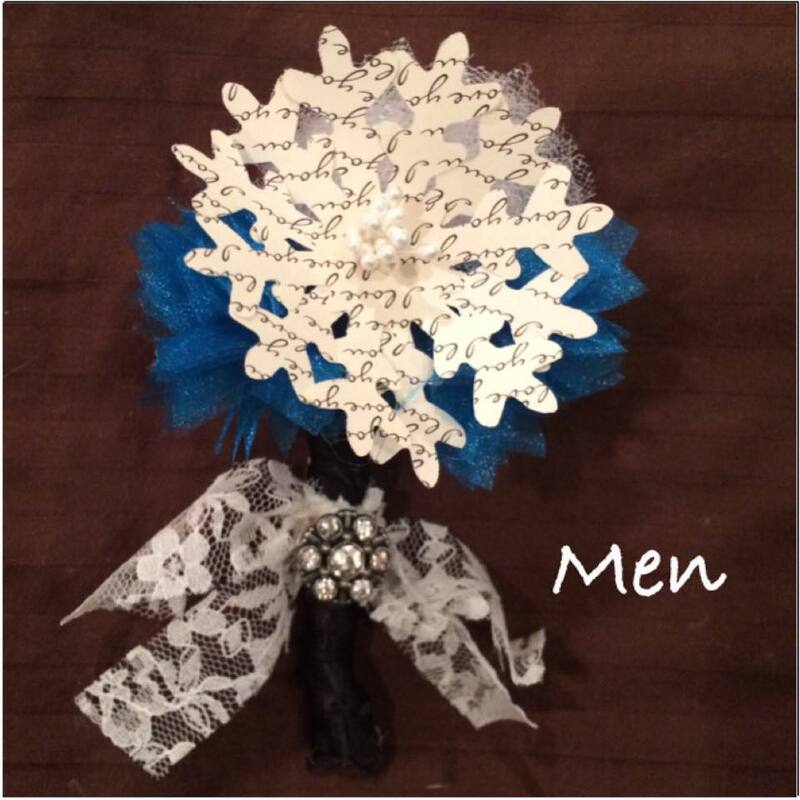 The men in the wedding had snowflake inspired boutonnieres, with a little sparkle. 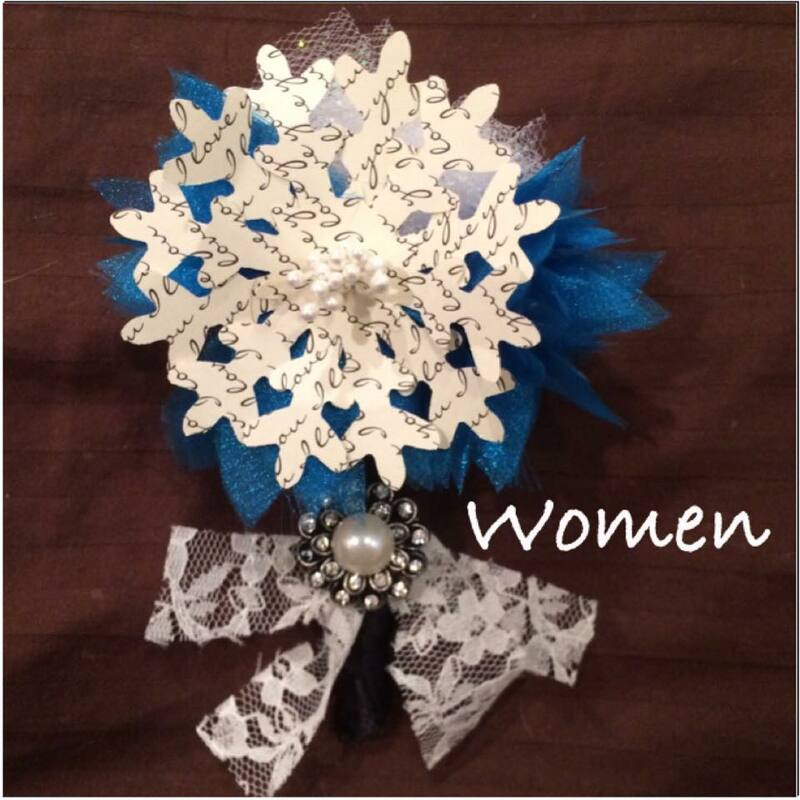 She wanted the women in the wedding to have something similar to the men but with just a little bit more elegance so I added a pearl to the women boutonnieres. 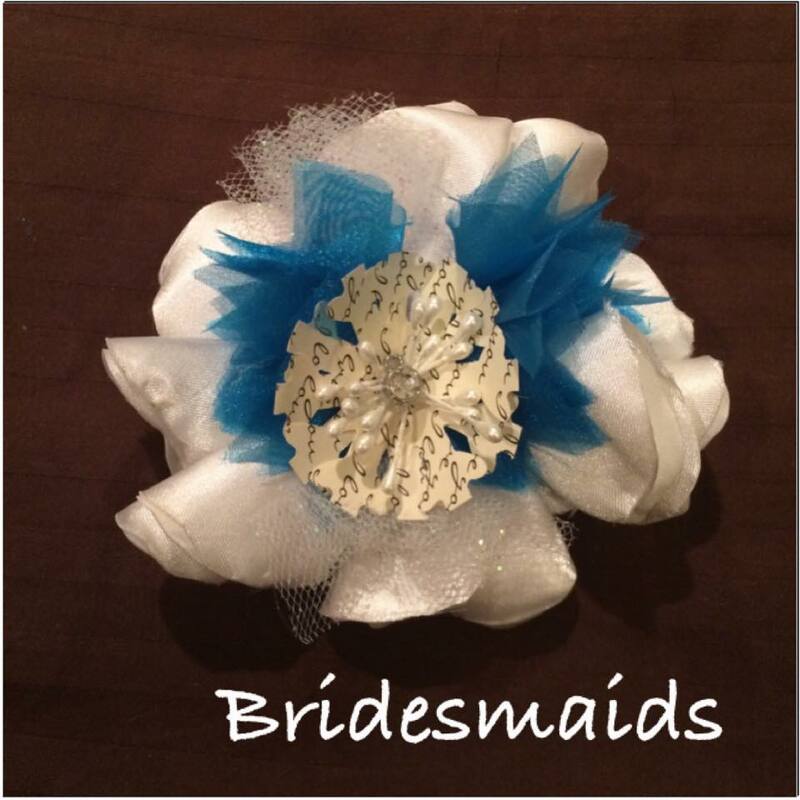 Each of her bridesmaids also received a hair clip to wear. These where also done in her colors and made to fit the theme. Guest book was up next! Nicole really wanted something unique. We played with the tree idea a bit since the invitations were make out of wood, we also played with the idea of a snow board, and we finally settled on a mini Pine tree with paper snowflakes. 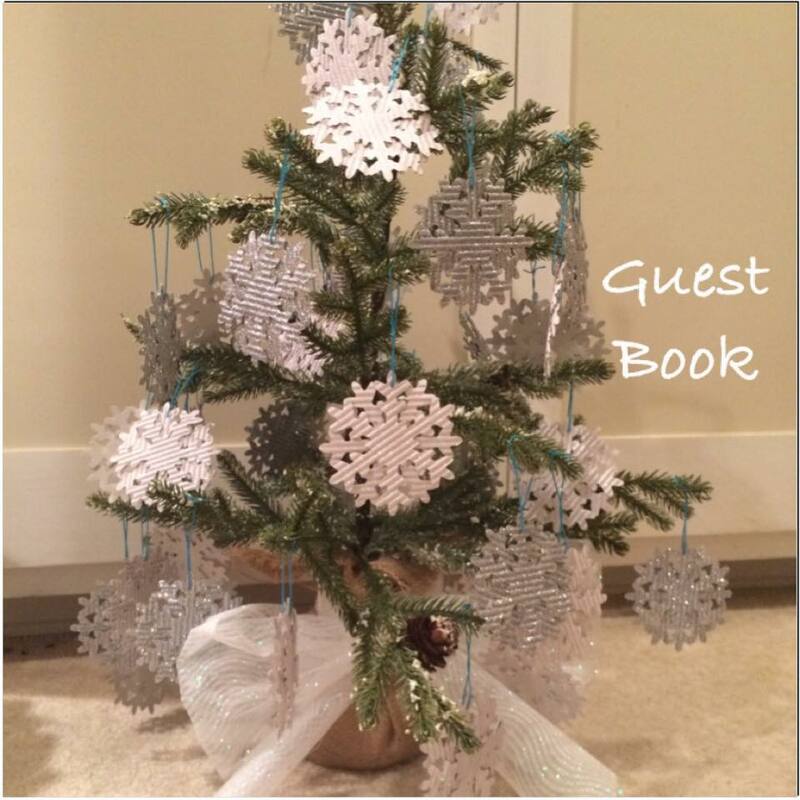 Each guest would sign a the back of a snow flake and Nicole could keep them as Christmas decorations for year to come! This entry was tagged Amanda's Bridal and Tux, Colorado Wedding, Diy Wedding, Handmade wedding, Paper flowers, wedding, Wedding Bouquets, Winder Wonderland, Winter Wedding, Wood Invitations. Bookmark the permalink.